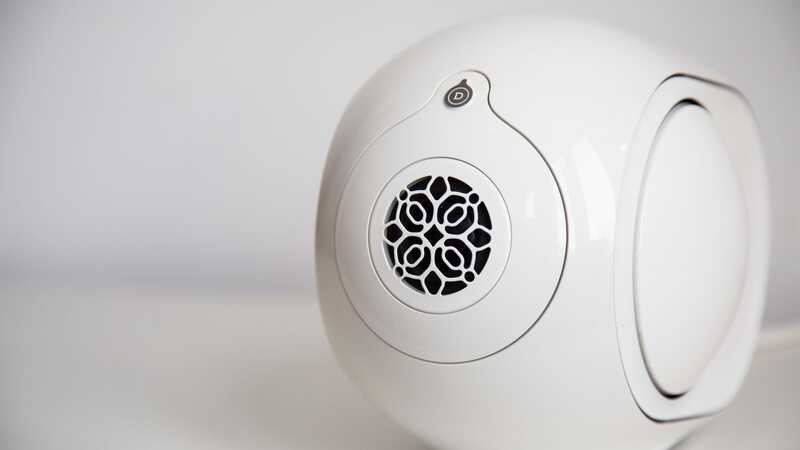 When I reviewed the £1,390 Devialet Phantom speaker three years ago, it blew my mind. The company just came out with a shrunken-down version for about half the price called the Phantom Reactor. It is also quite impressive, mainly because it’s so little and so loud. That doesn’t mean the Phantom Reactor is the best-sounding wireless speaker money can buy, though. I don’t even think it’s my favourite. 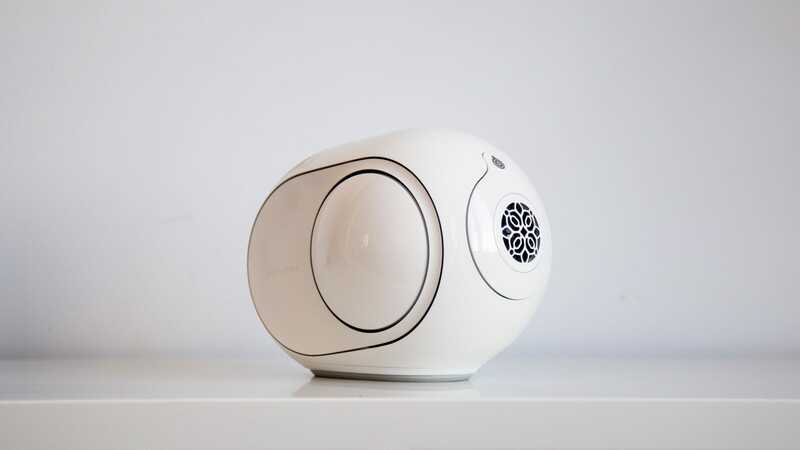 The Devialet Phantom Reactor is smaller than a football and louder than most home cinema systems. With one model that sells for £990 and another that sells for £1,290, a single speaker might also cost the same as a very good home cinema system, but hey, the Phantom Reactor will definitely impress your friends at a dinner party. Speaking of specs, the Phantom Reactor is a curiously designed gadget. It looks like an H.R. Geiger-inspired piece of hardware with its three drivers situated up at the front of the device, almost begging you to listen. There’s one aluminium driver that’s apparently tuned to handle high- and mid-range audio. Meanwhile, that moving cup-based subwoofer setup includes two aluminium bass drives that handle the low end of things. 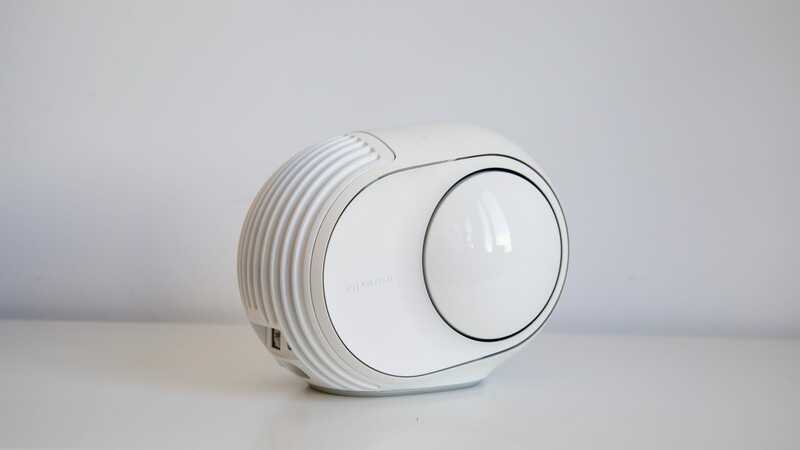 The Phantom Reactor works as a multi-room wireless speaker but also supports connections over Bluetooth as well as through a 3.5mm jack. The speaker works with AirPlay 2.0, which is especially convenient for Apple users. The Phantom Reactor comes in two kinds of powerful. There’s a 600 Watt version that delivers 95 decibels as well as a 900 Watt version, which is the one I tested, that can do 98 decibels. The two speakers are $1,000 and $1,300, respectively. Here’s the brutal truth, though. The Phantom Reactor invites you to listen closely to your favorite songs, but not all the details are there. Which is to say, the audio fidelity is not what I’d expect from a speaker at this price point. And just because a speaker is expensive and impressive does not mean that it’s something everyone should want. This is a rich person toy, something that’s as much a conversation piece as it is a sound system. Devialet used to sell the Phantom at Apple Stores but pulled the product from those shelves, citing disappointment in how Apple salespeople were pushing the product. (It didn’t help that the HomePod was sitting right next to the Phantom for a fraction of the price.) Regardless of any retail presence, though, I’d bet that a lot of audiophiles who would scoff at the Phantom Reactor for a couple of reasons. The problem here—and this is reason number two—is that the Phantom Reactor’s tuning will sound frustrating to fidelity purists. It’s all treble and bass. 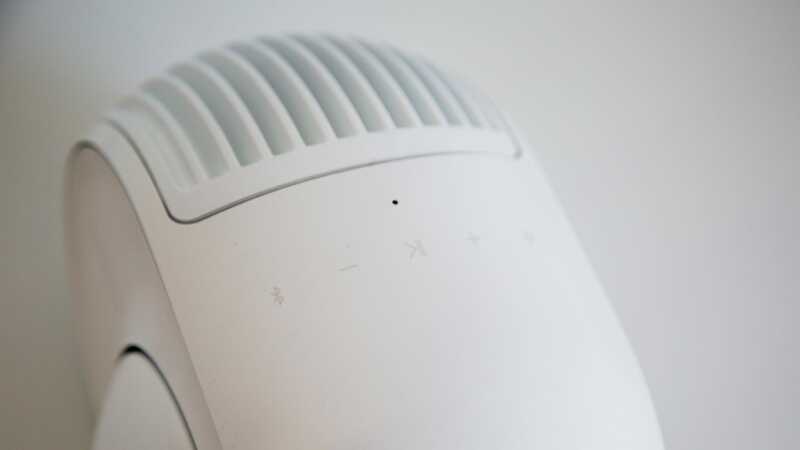 This is another thing the speaker has in common with Apple’s HomePod. The new Phantom Reactor puts a tonne of emphasis on punchy highs and rumbling lows, so much so that I felt myself longing for more mid-range sounds that typically make music feel warm and full. This issue isn’t super noticeable on every track. Ariana Grande’s “Seven Rings,” for instance, sounds amazing on the Phantom Reactor because it’s all bass thumps and treble blings. Complex jazz songs, like Dave Brubeck’s “Take Five,” sound utterly empty because the Phantom Reactor struggles to reproduce the fine details on the high hat taps and piano riffs. The Phantom Reactor’s particular tuning sounded especially pronounced when I listened to it in tandem with the Sonos Play:5 speaker, which is almost half the price and twice the size of the Devialet speaker. Thanks to AirPlay 2.0, I was able to switch between the two speakers on a second-to-second basis and easily hear how differently the tuning affected the audio. 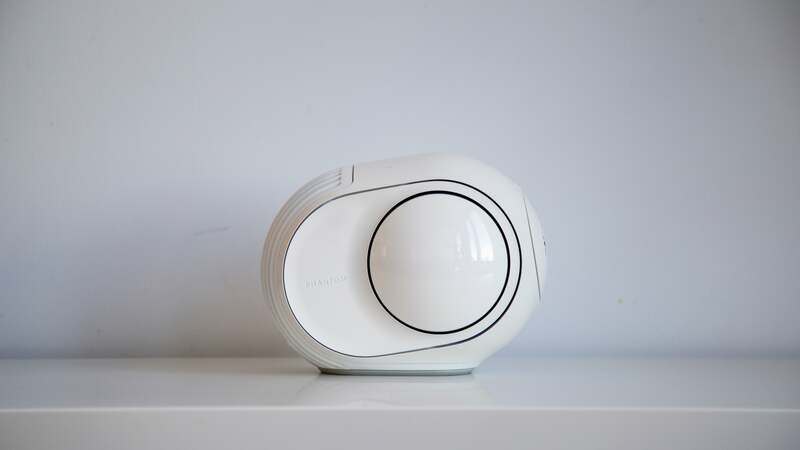 On “There Will Be Time” by Baaba Maal and Mumford & Sons, the Phantom Reactor excelled in the lower range, but only after switching to the Sonos Play:5 did I realise how the Devialet speaker totally missed the texture of the gentle percussion track. Similarly—and possibly in spite of the powerful subwoofer—the Phantom Reactor drowned out the bass line on “Betray My Heart” by D’Angelo, while the Sonos Play:5 showcased it. That’s a shame because it’s a beautiful, subtle bass line. Despite its particular tuning, some people might just really like the simplicity of the Phantom Reactor. 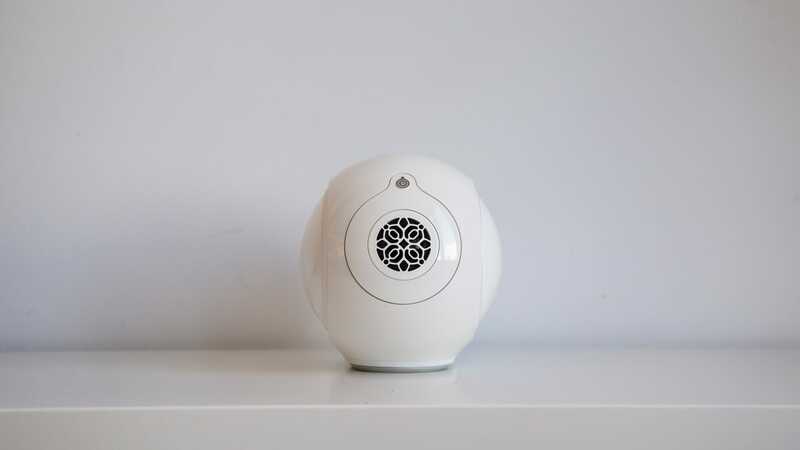 You can quickly connect to the speaker with a smartphone or laptop and enjoy that loud thumping bass without fiddling with wires or amplifiers. While there’s no equaliser option in the Devialet App, the company says you can make some adjustments through the equalisers in third-party players. 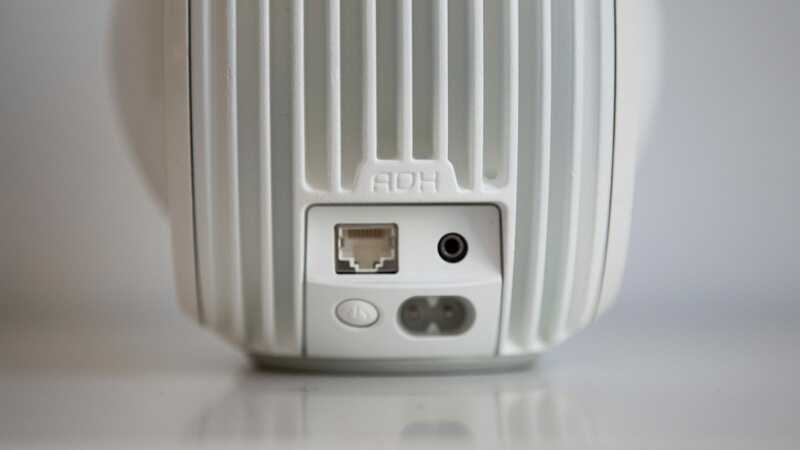 You can also connect the Phantom Reactor to existing multi-room audio systems through devices like the Sonos Connect or other hi-fi pre-amplifiers. So the possibility of more flexibility does exist with the Phantom Reactor. 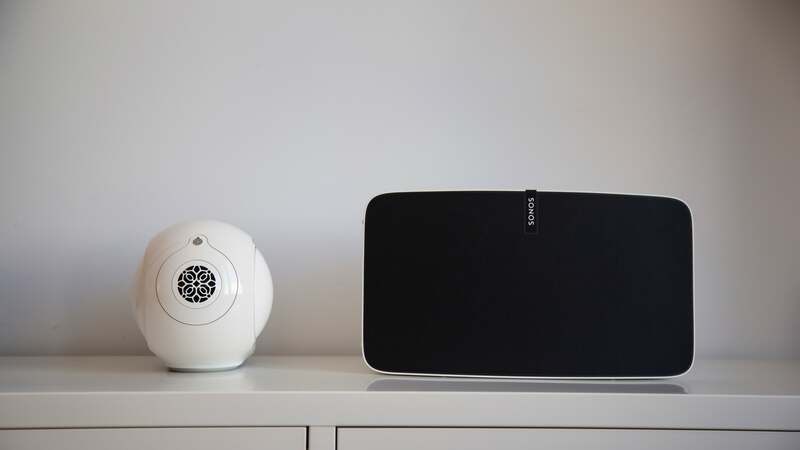 If I had a thousand quid to spend on a wireless sound system right now, I’d buy a suite of Sonos speakers. In my tests, the Play:5 beat the Phantom in terms of audio fidelity, and I think Sonos makes it very easy to setup a multi-room system. Plus, a grand will get you a big, user-friendly Play:5 and a pair of Sonos Ones. That’s enough to fill every room in a one-bedroom flat with nice, balanced sound. The Devialet Phantom Reactor is loud enough to fill up an entire apartment—I’m not disputing that. A lot of people will also like that treble- and bass-heavy Phantom sound. And the rumbling cups on the subwoofer! Your dinner guests will be bowled over by this. 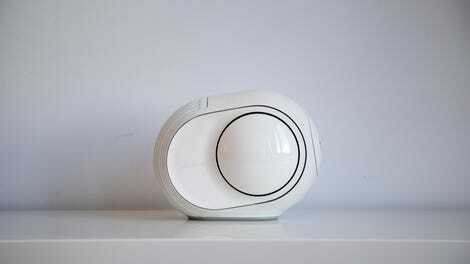 This is how I’ve always thought of Devialet speakers. They’re weird and impressive. They’re a spectacle. They’re not a great value. The Phantom Reactor is easy to use, but it’s also not my favourite speaker in terms of sound. I just don’t care for the tuning. But again, I don’t think audio fidelity is what makes this speaker special. The Phantom Reactor is flashy, freaky, and fun. If that’s worth £990 to you, I salute your financial success.